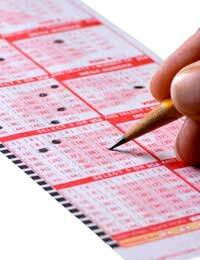 There are a number of ways of playing the lottery and one of the most popular has to be the lottery work syndicate. Not only does this simple and effective way of playing increase your chances of winning the jackpot, it also adds a little bit of fun to something that is usually enjoyed individually. Although a work syndicate is a fun tradition played week in and week out, have you ever considered what would happen with the money if you actually won a considerable amount? Disputes are known to happen and often cause troubles between staff and management if the money is not correctly distributed or someone believes they are entitled to more than others in the syndicate. Workforces participating in a lottery syndicate may feel that there is no need for a specific agreement as they all trust each other and feel an agreement would dilute the fun of the syndicate. However, when it comes to large amounts of money an agreement is always the safest and fairest option. Participants may decide they are entitled to more of the winnings because they have been at the company longer or they have been in the syndicate longer than others. Some may put more money into the syndicate and feel that they deserve a larger percentage. This can cause a great deal of problems and can disrupt a perfectly functional workforce. The best way to avoid these possible problems is to allocate a lottery syndicate chairman (usually someone in management) as this person can arrange the rules and steps of the agreement. Once someone has been allocated get together and work out the agreement, as this can be used as legal evidence if a participant is not satisfied with the way the money is distributed. How lottery wins are distributed or used, e.g. a £10 win will go towards future tickets. Clarify that if every participant contributes the same amount of money then any winnings will be distributed equally. How payment of the syndicate is collected and what happens if someone does not pay i.e. do you exclude people from that weeks syndicate or do you give them up until the day of the draw to pay. Finally, make sure everyone reads, agrees and signs the agreement so that everybody is completely aware of how your syndicate is run. Make sure the person responsible for the syndicate collects the money and buys the tickets and informs everyone of any changes or information they have to everyone involved. An agreement may sound ridiculous and somewhat unnecessary but it can be an important part of any syndicate and may help you avoid a number of problems that come with winning and distributing a lot of money. @Casper - You may want to send an email around saying you are just making sure that everyone has read, agreed and signed the agreement so that everybody is completely aware of how your syndicate is run and that no third-party agreements will be considered for payouts.